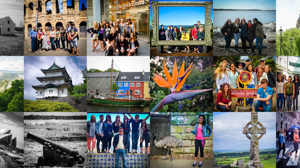 With the end of the term, and exam season here, it’s no secret that students are stressed at this time of year. 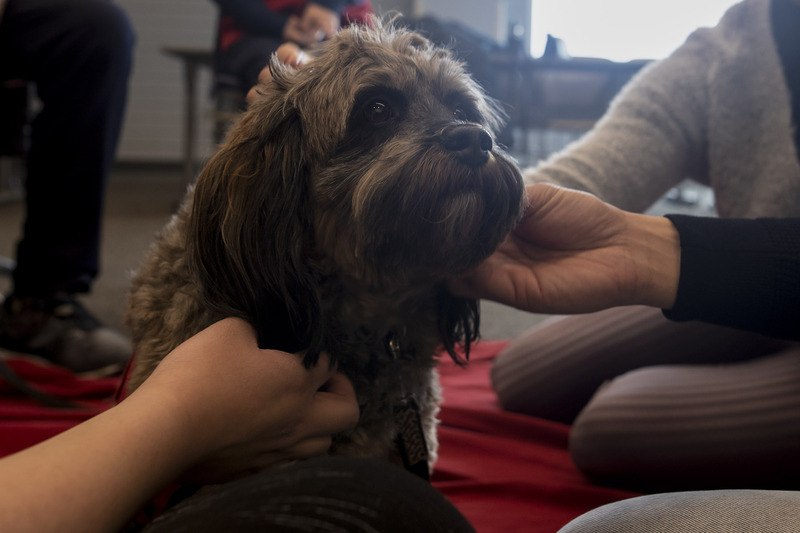 But University of Guelph-Humber students recently had the chance to unwind and de-stress with the help of some furry friends at UofGH’s third Take a Paws event. 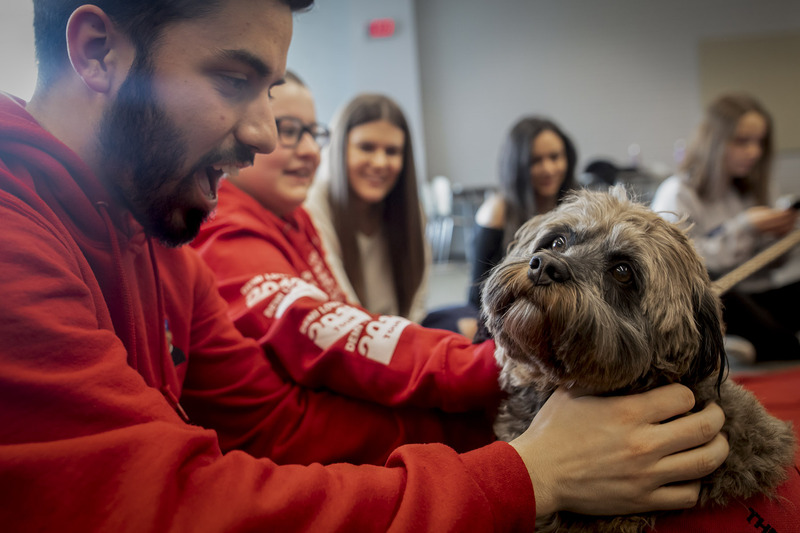 Hosted by Library Services, in partnership with Student Life, Take a Paws gave students the opportunity for a 15-minute break to interact with therapy dogs from Therapeutic Paws of Canada. Diane Myers and her dog Mac, a six-year-old Labrador retriever were one of the dog-owner teams from Therapeutic Paws of Canada that participated in Take a Paws. 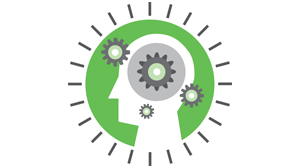 “Before I came here, I was having a stressful day. We had a test this morning, but then seeing the dog puts you in a lighter mood to go home,” agrees Nixon. Nicole Oziel, third-year Media Studies student, and Nisa Kirdemir, fourth-year Media Studies student, volunteered at Take a Paws, helping to sign in students, accompany them into the dogs’ room, and oversee the visits. Benigno says that UofGH is planning to host another Take a Paws event in fall 2019.